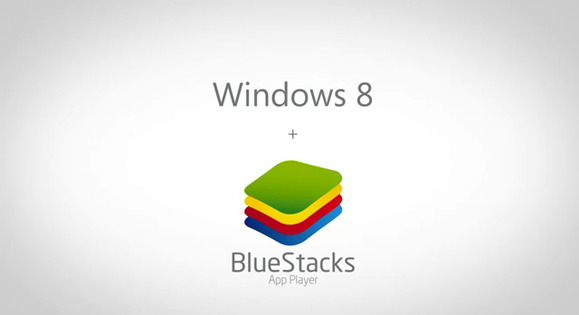 If you're frustrated over the lack of apps available for Windows 8 right now, Bluestacks wants to help. Bluestacks' software is an emulator that allows you to run Android apps on a Windows PC. The latest beta version, which you can download from GetYourAppsBack.com, tries to accommodate Windows 8 tablets with full-screen viewing, as well as a set of controls that appear when you swipe in from the right edge of the screen. Bluestacks can also use a tablet's accelerometer to move between tablet and portrait modes. In theory, Bluestacks is a good stopgap measure to fill in for key apps that Windows 8 lacks, such as Pandora, Flipboard, and Instagram. In practice, Bluestacks doesn't work as well as it should, and in some cases I couldn't get it to work at all. To test out Bluestacks, I installed it on four machines, including two Atom-based Windows 8 tablets, an Atom-based living room PC, and my Windows 7 desktop, which runs on an Intel Core i5 processor. The two Atom-based tablets would not run Bluestacks properly. Whenever I opened the software, I would get a brief loading screen, followed by a black screen. I could use the built-in navigation buttons to switch between full screen and windowed modes, but could not run any apps. The Atom-based living room PC fared better. I could load Bluestacks' built-in app store, install apps, and run them. But for some reason, Bluestacks would appear cramped on the screen, no matter what resolution Windows was running in. That made it impossible to reach the search function in Bluestacks' app store and made apps like Pulse unpleasant to use. I was hoping to use Bluestacks to fill in for certain music and video apps that Windows 8 doesn't have, but that's out of the question now. On my desktop PC, Bluestacks fared better. I could install apps from a handful of markets (the software lets you choose from sources like Google Play, Amazon's Appstore, Get Jar, and 1Mobile Market), and there were no major issues running them. Even so, Bluestacks has some inherent flaws when it's working properly. Also, a lot of Android apps aren't optimized for larger screens, which isn't Bluestacks' fault, but even some of the ones that are don't display in tablet mode. Google's Gmail and Drive apps, for instance, always appear as blown-up smartphone apps, even though tablet-optimized versions are available. That may be because the Bluestacks emulator is based on Android 2.3, an outdated version of Google's software. I like the idea of Bluestacks, and now that touchscreen Windows 8 devices like the Surface Pro are here, the software finally has a worthy platform. The execution, however, still needs a lot of work. Bluestacks is still in beta—and fortunately it's free in the meantime—so there's little harm in giving it a shot. Just don't expect a panacea for Windows 8's app deficiency.